Minden publishes an entire line of naval combat simulation games. They are all tactical, ship vs ship game systems. The games may be divided into five broad categories, from simplest to most complex: the SALVO! game system, the DREADNOUGHTS & BATTLECRUISERS game system, the NAVTAC game system, and the BATTLESHIP CAPTAIN game system, plus MISC. NAVAL GAMES. Each should appeal to naval game rookies and veterans alike. Salvo! series games do not require a board; with the ship counters and game charts, you can easily play a game on a tray table while flying, for instance. This makes it the perfect game for players with limited play time or space. Dreadnoughts & Battlecruisers series games cover the Great War period. As with Battleship Captain games, D&B uses individually rated ship counters, and produces a good "feel" for naval battles of the era. NavTac series games also cover the World War I era, using a modified Fletcher Pratt system, but using dice and various ship ratings instead of range estimation. Battleship Captain series games covers the entire era of the battleship (1890-1945) with era-specific rules and options for each era. Though our most comprehensive and complex naval system, it retains high playability. Each system uses detailed, historically accurate warship ratings (such as bow/broadside.stern firepower, speed, armor, flotation and gun direction ratings, BB, BC, AC, CA, CL, and AMC classes). With each of the games, just looking at a ship's counter will enable you to evaluate accurately the strenghts and weaknesses of each ship. Click on the pictures below to visit that game's page and find out more details about it. You may order these naval games via the ZIP EDITION GAMES page. Advanced Salvo! European Theater covers the World War 2 fleets of Great Britain, Germany, France, and Italy, using the newest edition of the Salvo! game system for WW2, with 144 fully rated scale ship counters, Sea Display, Reference Cards, Scenario Cards, and illustrated rulebook. Great War Salvo! 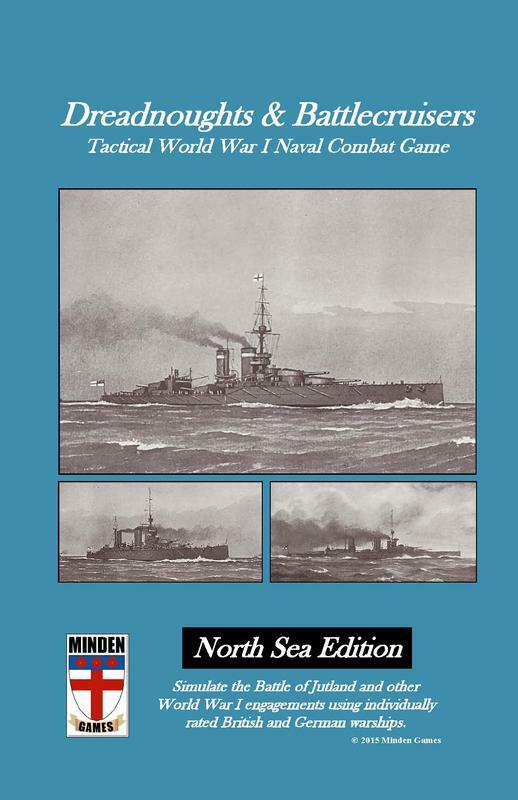 North Sea Expansion (below) cover World War I naval combat. Destruction of Force Z is a solitaire wargame that simulates the Royal Navy disaster occurring in the Far East, December 1941, with the loss of HMS Prince of Wales, an HMS Repulse. 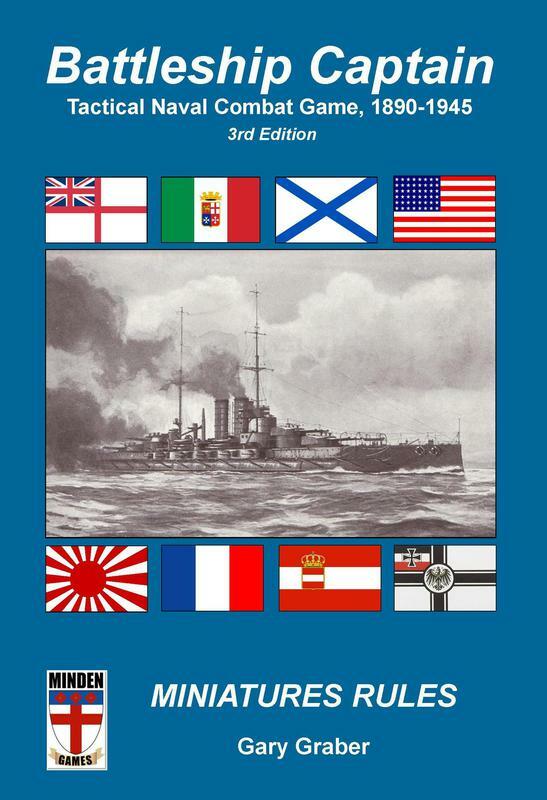 The third edition of Battleship Captain is available. 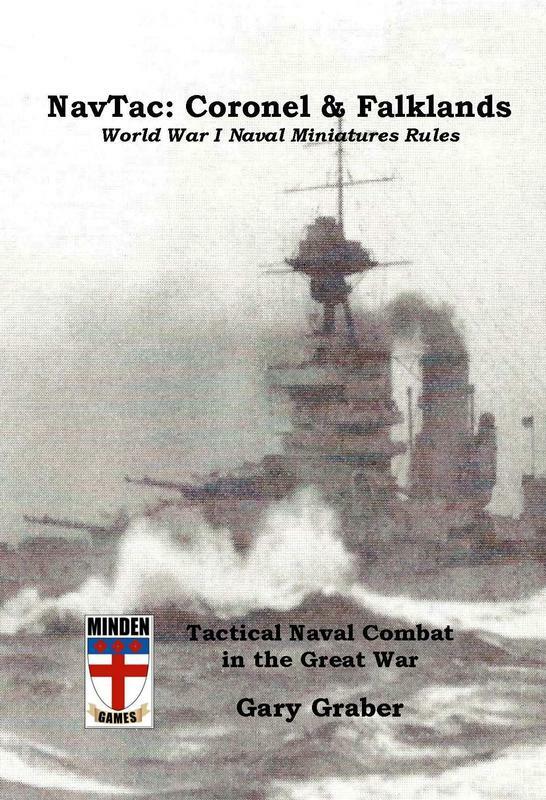 It is Minden's most comprehensive naval combat game system, covering the age of the battleship (1890-1945) in three distinct eras--Pre-Dreadnought, Dreadnought, and World War II. 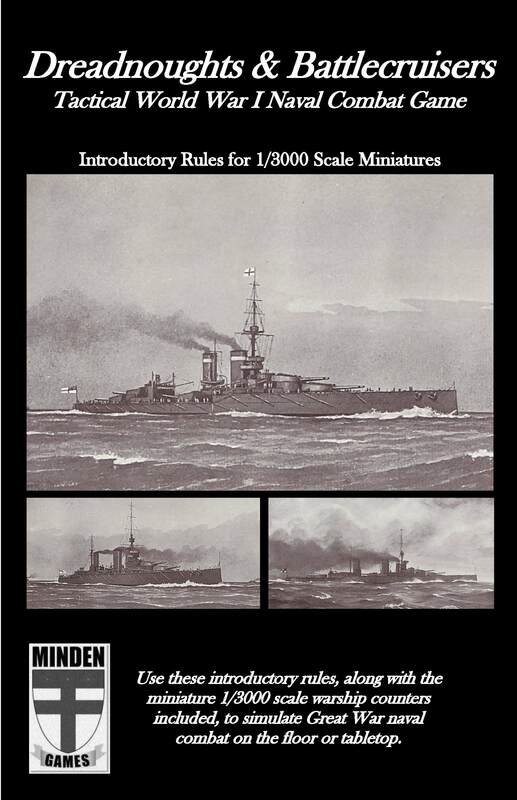 This 110-page illustrated book contains all rules, ship ratings, and game tables to play, plus 30 scenarios, and 108 1/3000 warship facsimiles. Battleship Captain Warship Counters, 1980-1945 is a book used in conjunction with the Battleship Captain rule book (which you must own to use this book). 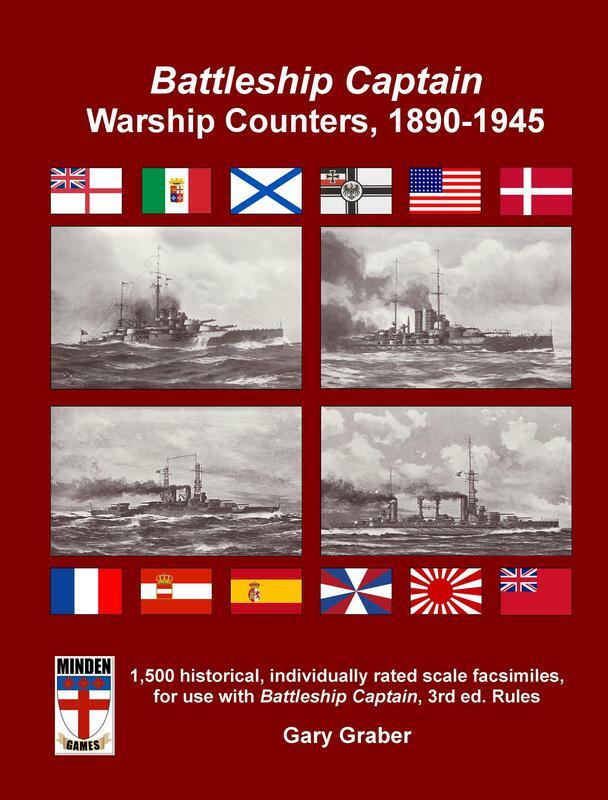 It contains all 29 counter sheets of ships (8.5" x 11" format) of 1,500 scale warships, which you can photocopy and create your own counters with. Facsimiles are rendered at approx. 1/4000 scale with instructions on how to produce counters at any popular scale.